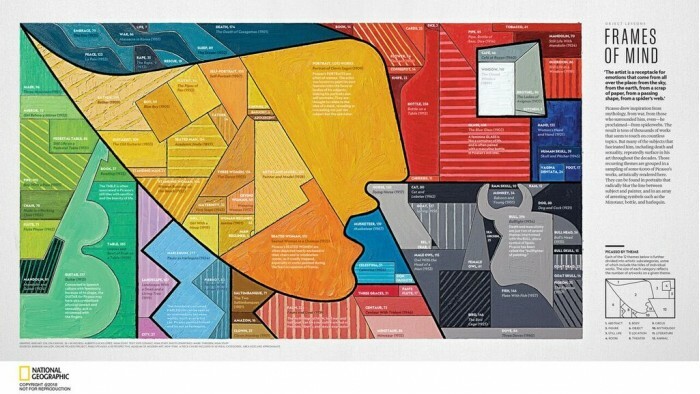 Frames of Mind, National Geographic Channel's Alberto Lucas Lopez, inspired by Picasso's cubist paintings, created this impressive visualization of the data. 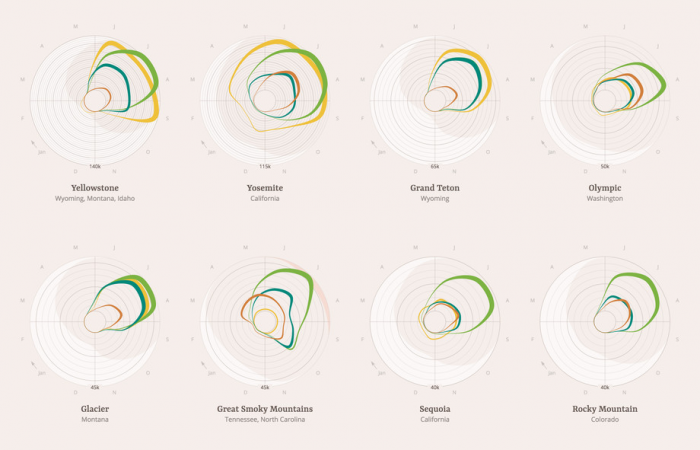 A Night Under the Stars, Jordan Vincent surveyed the monthly overnight stays in major national parks in the United States, and the visualization of the data is also very distinctive. 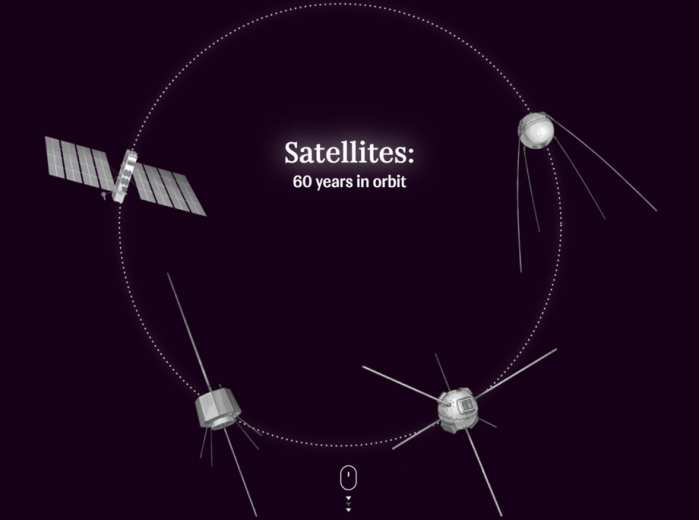 Satellites: 60 Years in Orbit, a visual interactive web page, Rossiya Segodnya provides 3-D maps of as many as 8,000 satellites in orbit on our planet. 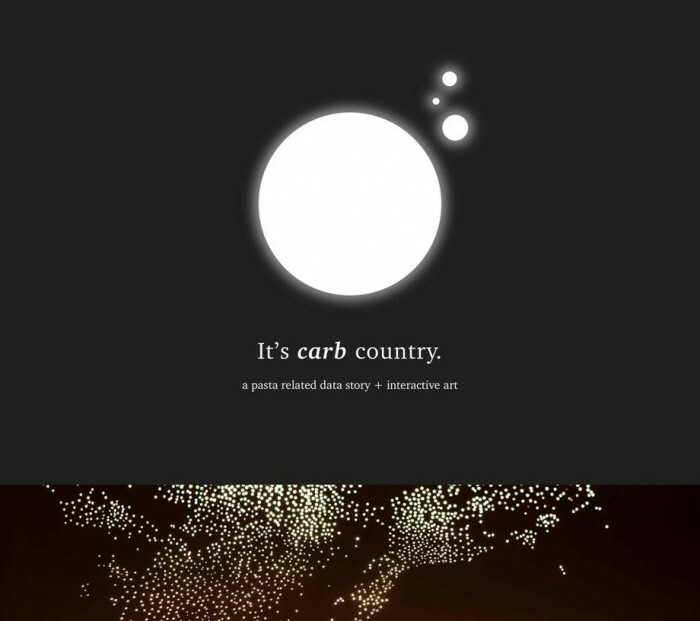 It's Carb Country, also a visual interactive report and artwork created by Francesca Morini, provides several visualized presentations of data about pasta, such as how many homes can be powered if the heat of pasta is converted to kilowatt-hours. Google trend shows that some Americans do not know how to spell "beautiful".